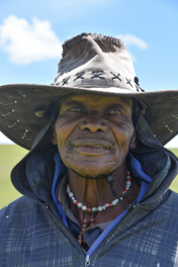 Lesotho, previously known as Basutoland, or very often referred, as Kingdom in the Sky is officially the Kingdom of Lesotho. It is landlocked and completely surrounded by South Africa. Lesotho has 300 days of sunshine. 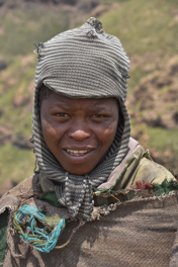 The rainy season extends from October to April in which Lesotho gets from 120 – 1,200 mm of rainfall a year, mostly during severe thunderstorms. Extensive snowfalls are possible in winter but may occur in any month on the high mountains. Nighttime temperatures go below freezing in winter (May-September), so bring warm cloths. With all of its land lying at altitudes in excess of 1,300 m above sea-level, it is a land of heights and extremes. 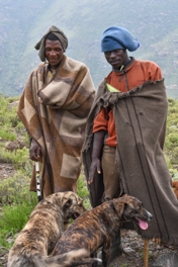 Lesotho is famous for its spectacular scenic beauty with breath-taking mountain ranges, towering peaks, a rich variety of flora and fauna, crystal clear streams, large waterfalls, fascinating culture and a snow blanket seen high in the mountains across the country in winter. While travelling around the country, visitors will come across much different habitats. From dry rocky places to lush green woodland. 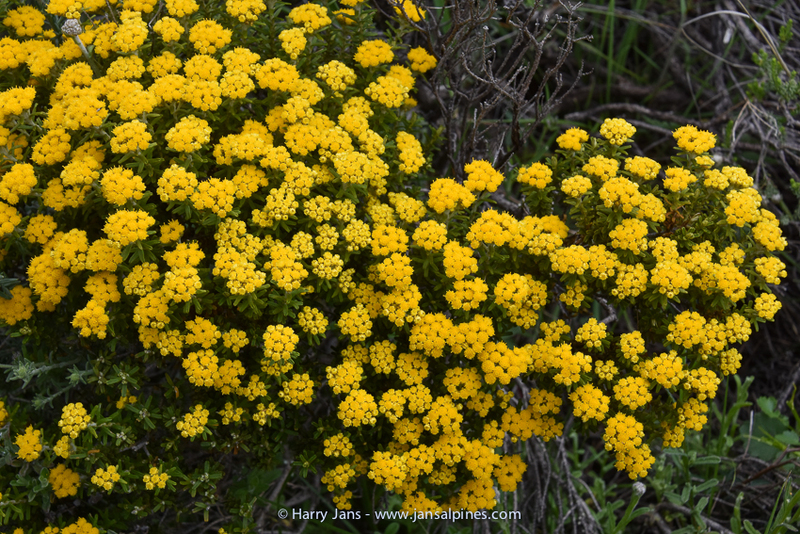 The Drakensbergen is the name given to the eastern portion of the Great Escarpment, which encloses the central South African plateau. The Great Escarpment reaches its greatest elevation in this region between 2,000 to 3,000 m. The Drakensberg escarpment stretches in total for over 1,000 km from the Eastern Cape Province in the South, then successively forms, in order from south to north, the border between Lesotho and the Eastern Cape and the border between Lesotho and KwaZulu-Natal Province. The Maloti Mountains are a mountain range, part of the Drakensberg system of the highlands of Lesotho and extend for about 100 km into the Free State. If you want to visit Lesotho start or end your tour at Witsieshoek at the northeast border with South Africa. You should base yourself at Witsieshoek Mountain Lodge that overlooks the Drakensberg’s Sentinel Peak and Amphitheatre. 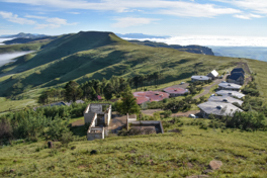 At 2,286 m above sea level, the Lodge is the highest in the Northern Drakensberg. A good path will lead you to the chain ladder and when you have climbed it then you will have a spectacular view. Along the path towards the chain ladder grow many interesting plants and you can easily spend a full day here. 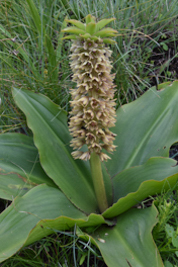 Plants in this area are Brunsvigia radulosa, Helichrysum marginatum, Moraea alpina, Eucomis bicolor, Eucomis humilis, Hebenstretia dura, Galtonia regalis and Xerophyta viscosa. Thabana Ntlenyana (3,485 m), which literally means ‘Beautiful little mountain’ is the highest point in Lesotho and the highest mountain in southern Africa, south of Kilimanjaro. 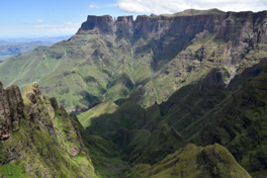 It is situated on the Mohlesi ridge of the Drakensberg/Maloti Mountains north of Sani Pass. AfriSki is one of only two ski resorts in southern Africa, located around 3,200 m above sea level in the Maloti Mountains, operating in Southern Africa near the northern border of Lesotho and South Africa. The resort is a 4.5-hour drive from Johannesburg via the steep tarred Moteng pass and the Mahlasela pass. 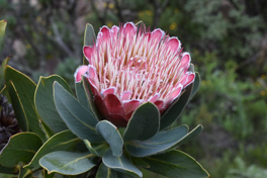 The New Oxbow Lodge is nearby AfriSki and an excellent place to stay to explore the botanical rich area of the Moteng Pass and the Mahlasela Pass. 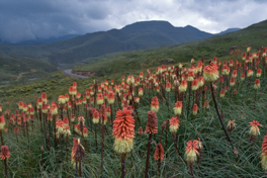 This area is well know for it large colonies of Kniphofia caulescens. 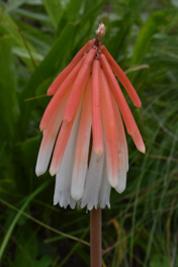 Other plants in this area are Kniphofia thodei, Berkheya rosulata, Cotyledon orbiculare, Helichrysum adenocarpum with it deep red/pink buds. 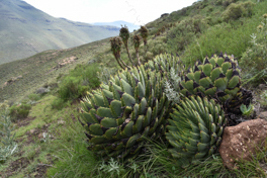 Aloe polyphylla (Spiral Aloe) is the National flower of Lesotho. 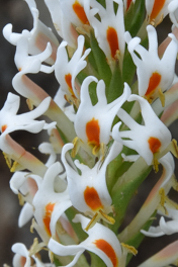 The Spiral Aloe is a rare and beautiful Aloe found in the Maluti Mountains. Very characteristic is the unique spiral arrangement of the leaves. Mr. F.H. 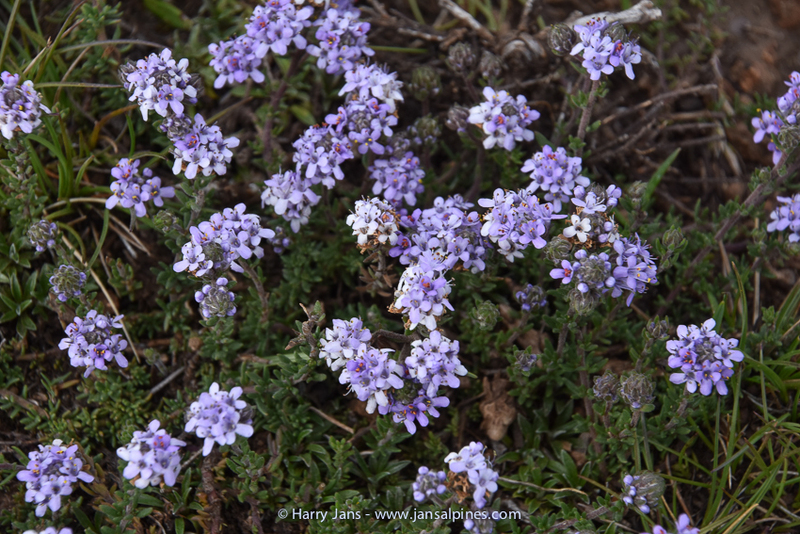 Holland discovered it in 1915 at the Phurumela Mountains of Lesotho. 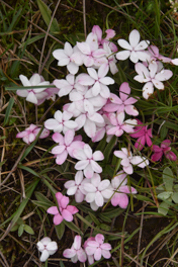 It is widely distributed and occurs in the mountains above 2,000 meters. 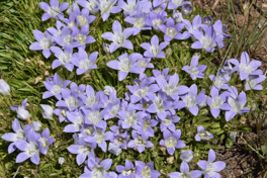 It is endemic to Lesotho and an endangered plant. 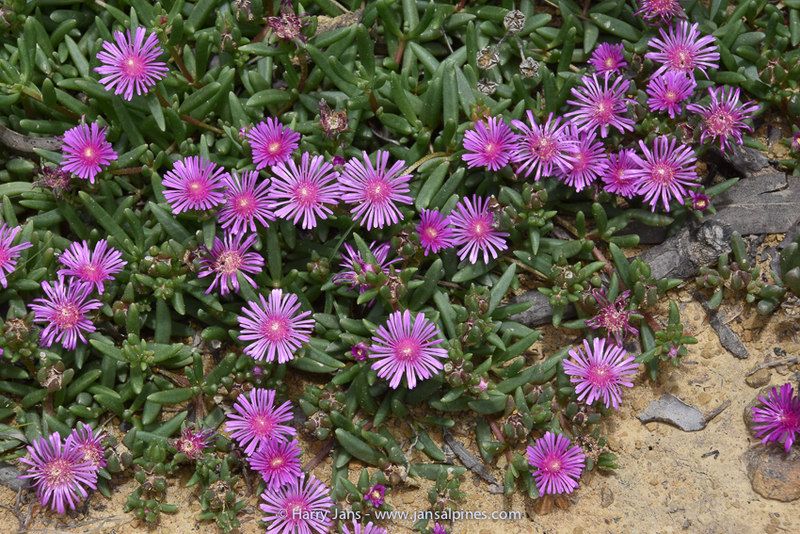 It is mostly threatened by illegal harvest as a garden plant. Sani Top at the Sani Pass is at 2,874 m above sea level and located at Lesotho border post in the district of Mokhotlong. 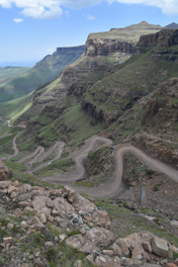 The road descends the torturous meandering of the Sani Pass. It traverse through the mountain plateau down the Drakensberg mountains and into the South African province of Kwa-Zulu Natal. The spine-tingling pioneering of this route was previously travelled by Mokhotlong Motor Transport and currently is being used by adventure loving motorists. 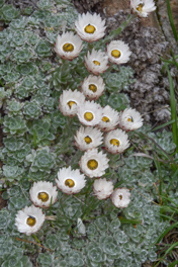 The Sani Pass it self and Sani Top are hot spots for various Afromontane flowers. 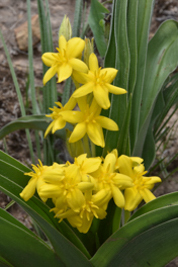 Here you are able to find beautiful patches of Helichrysum milfordiae, Rhodohypoxis baurii, and in the basalt cliffs the suicide lily Gladiolus flanaganii. 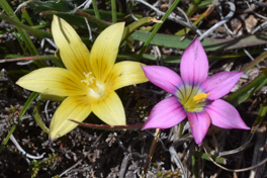 Other plants in this area are Wahlenbergia polytrichifolia ssp. dracomontana, Helichrysum pagophilum and Albuca humilis. 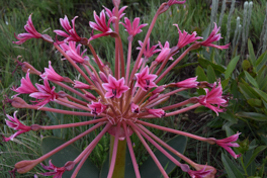 Lower down at the Sani Pass you should able to find good stand of Agapanthus campanulatus, Protea dracomontana, Protea subvestita, Protea roupelliae, Watsonia lepida, Euryops tysonii or Erica cerinthoides. 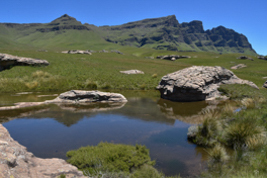 Situated in the Drakensberg escarpment is the Sehlabathebe National Park established in 1970. A breath-taking undisturbed area of its own beauty of clear rivers running through the park. Rocks of different formations, San paintings, unique wild flowers, bird sanctuary, rock pools and a waterfall. This park is the national designated nature reserve in Lesotho and comprises 6500 hectares at an average elevation of 2,400 m. The park is ideal for hiking, bird-watching and contains unusual rock formations and alpine flora. 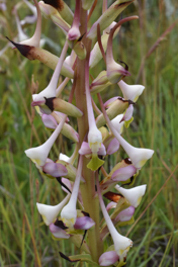 It is a very plant rice area with many orchids like Schizochilus flexuosus, Schizochilus bulbinella, Satyrium longicauda, Disa versicolor , Holothrix scopularia, Disperis cardiophora and Disa oreophila ssp. oreophila. 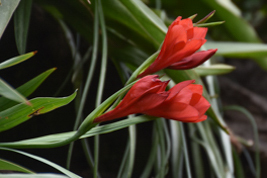 Next to all the orchids there are many other attractive plants in this area. 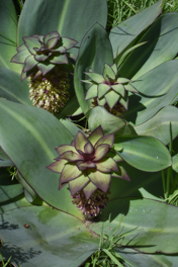 Some of these are Helichrysum aureum, Dianthus mooiensis, Gladiolus ecklonii, Eumorphia prostrate, Eucomis schijffii or Brunsvigia grandiflora.